The Canon EOS 550D / Rebel T2i is a solid mid-range camera whose main virtue is that it allows you to capture incredibly detailed photos without ever getting in the way or spoiling the fun of picture taking. Surely enough, it doesn't have the robust build, comfortable hand-grip, weather sealing, dual control wheels, large viewfinder, 8fps burst mode or 19-point auto focus module of the EOS 7D - but then a Rebel probably never will. Canon understands the principles of product differentiation, and knows that those who really need these features will eventually cough up the price for the higher-specified model, while the rest of the target market will happily embrace the smaller, lighter and friendlier Rebel. Not to mention that apart from these few things, the Canon EOS 550D / Rebel T2i has practically everything its bigger brother has to offer. 18 megapixels? Tick. 63-zone metering sensor? Tick. Full HD movie recording with user selectable frame rates? 1,040,000-dot LCD screen with 3:2 aspect ratio? Some of these are things the 7D doesn't even have (which is not to say its 4:3 VGA screen is bad, but still). Clearly, if you are shopping for a new DSLR camera, the EOS 550D / T2i should be high on your list. Just make sure you understand that if you are mainly attracted to it by its headline-grabbing resolution, you will need to buy something better than the 18-55mm kit lens to actually make the most out of all those pixels. Things are a bit different if you already own its predecessor, the 500D / T1i. More pixels, more sophisticated metering, higher screen resolution and a wider exposure compensation range are all nice and well, but I doubt that any or all of these would or should tempt 500D owners to upgrade. Unless... unless they find themselves shooting lots of video footage and are not happy with what their current camera can offer in this area. The dizzying number of frame rate options, full manual control over exposure and the option to connect an external stereo microphone may indeed make the 550D / T2i attractive to these people. On the other hand, Canon is obviously not in a vacuum - the competitors might not have any 18-megapixel consumer DSLRs just yet, and few of them can match what the EOS 550D / T2i has to offer in terms of video capture, but they do have some very capable, feature-packed models that actually cost a lot less these days. Tthe 550D might be a lot cheaper than the 7D, but at £699.00 / $799.99 without a lens, it's not particularly aggressively priced within its own competitive set. 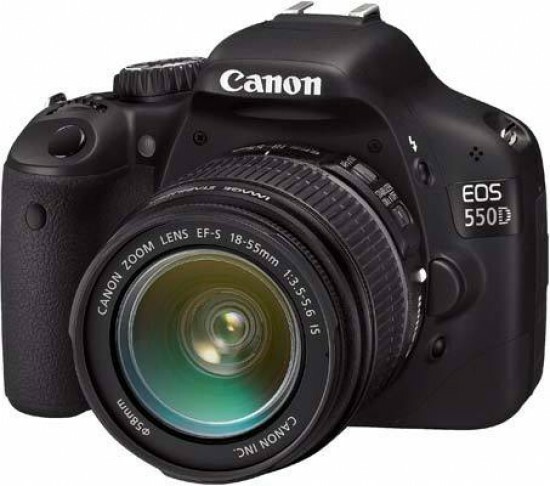 As far as we are concerned, we have found the Canon EOS 550D / Rebel T2i to be a convincing, well-put-together product that easily earns a Highly Recommended rating.